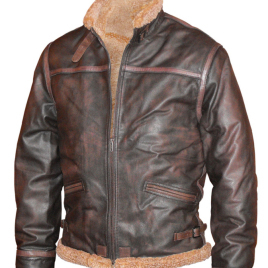 A unique blend of vintage motorcycle jackets, modern cafe racers and the classic bomber, striking leather jacket features six front pockets (four flapped, two zippered) snapped epaulettes, and double snapped cuffs with zippered vent. 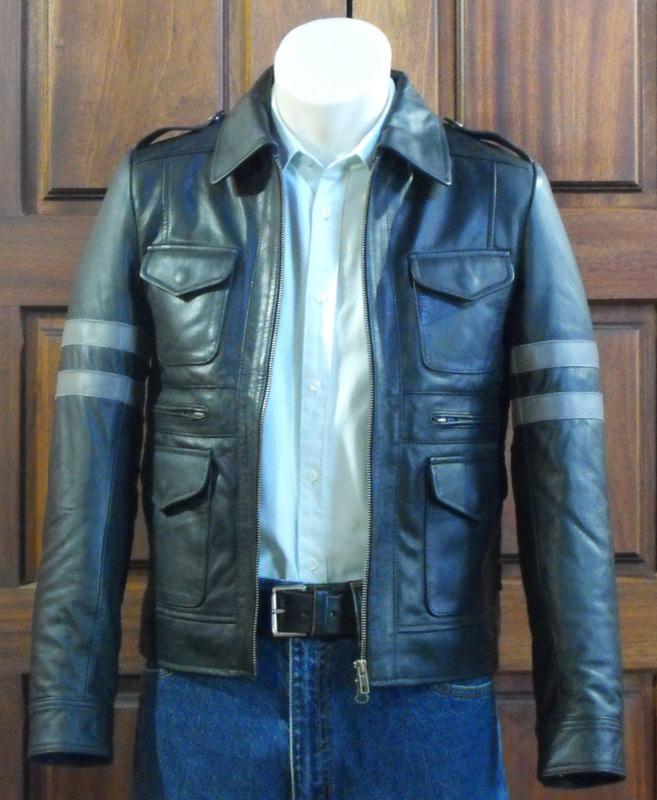 The back has large shoulder gussets and adjustable side belts. 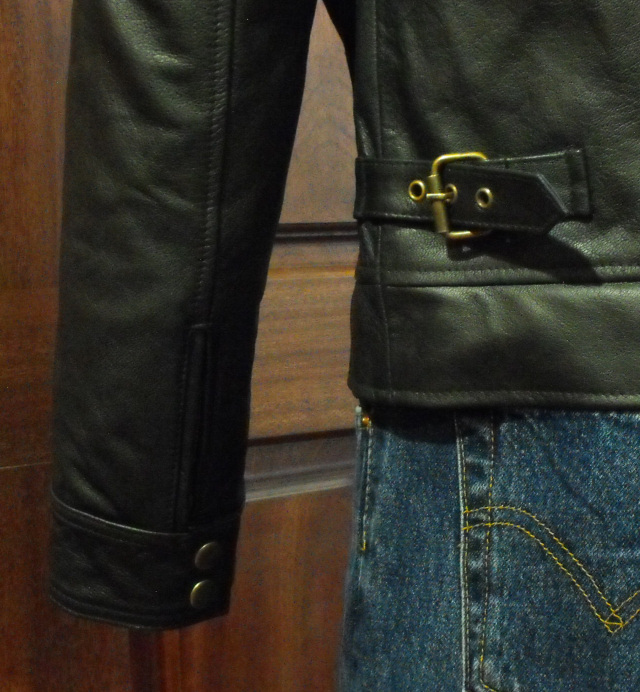 Fully lined with three internal pockets. 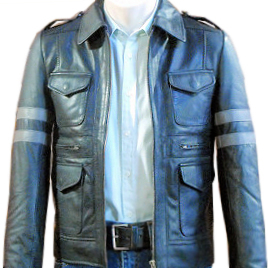 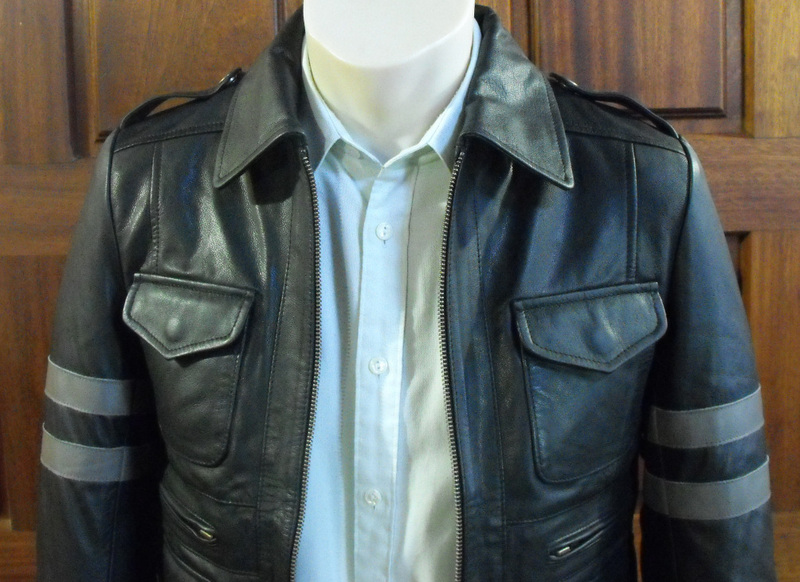 Shown in black goatskin with grey arm-stripes in new condition. 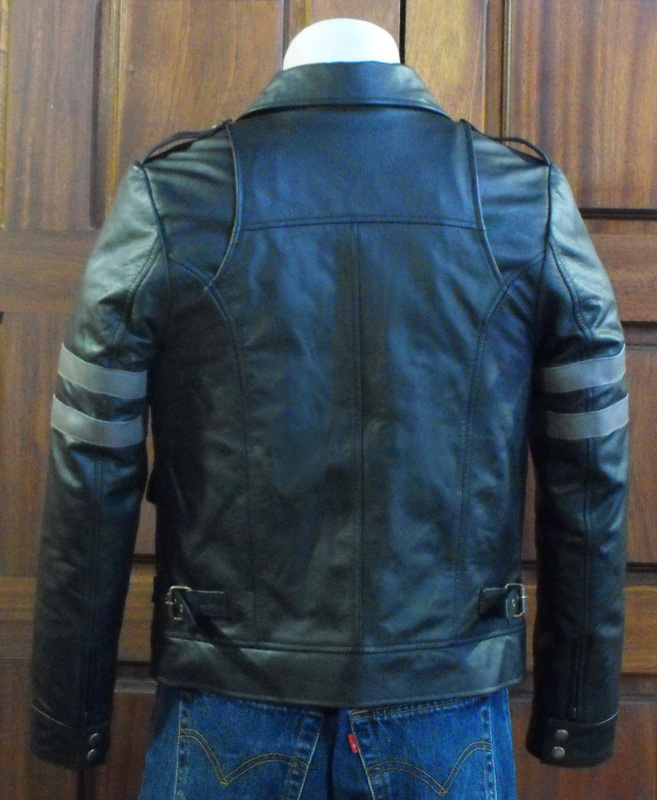 If ordered in a color other than black, please specify arm-stripe color in the comments section of your order.